The Nash Metropolitan was a strange car. Smaller cars had (have?) been built, but few from the likes of big American companies like Nash (and later Hudson). To make things even more obscene, the Metropolitan was build in England by Austin (BMC) and powered by small BMC engines. 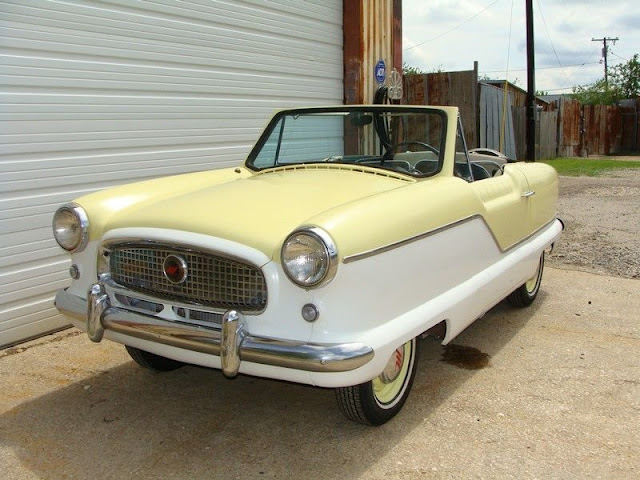 Find this 1961 Nash Metropolitan here on eBay offered for $3,450 buy-it-now located in Dallas, TX. 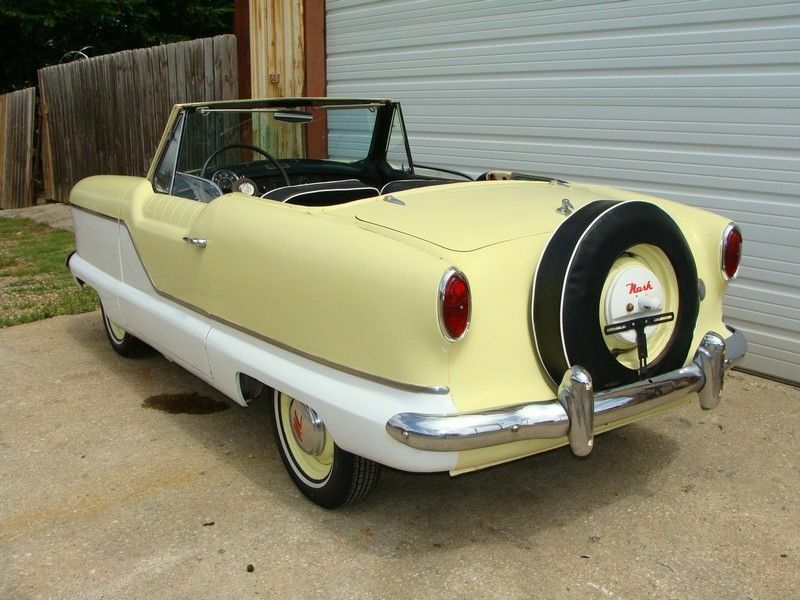 The baby Nash Metropolitan was built starting in 1953, but by the time this one rolled off the assembly line, it had a number of modifications -- this one is known as a Series IV car, which was the final year of Met production. 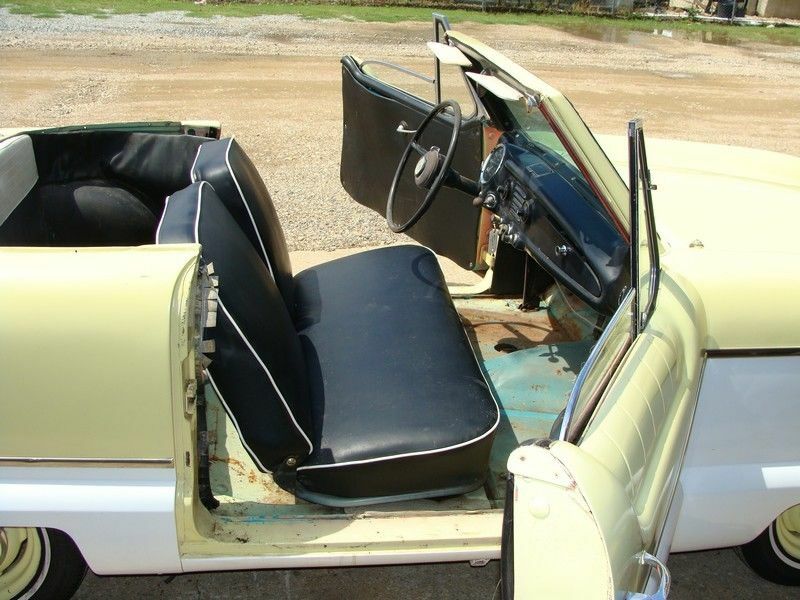 This Metropolitan started life as a hardtop and somebody hacked off the roof and turned it into a convertible, but it doesn't look that bad for the asking price. I was kind of excited about this car, from the initial photos. But talk about someone getting the restoration order wrong! The outside looks quite outstanding, especially at the price, but everything under that skin looks like it was completely forgotten. It would be hard to have to work around that decent body to make the rest right. Rather sad. Agreed. Seller may as well have done nothing, as by the time you finish fixing everything else, the body is likely going to need to be resprayed. Makes me wonder what lies beneath the paint. Seller is looking for a quick flip, I'd say. When I was at CalArts in the 80s a film student shot a music video for some band and had a couple art students chop the tops off of three Metropolitans and paint them pink blue and yellow. I think they were reinforced with angle iron cut from bed frames. Supposedly they were shooting the video down in LA and sold them to the first three people who walked up and said "cool car" for a couple hundred bucks a piece. One of them didn't even have a working cooling system which was ok if you only had to drive it a block and park it twice an hour. I think one maybe didn't even run and just got towed behind a camera car. Wonder what ever happened to them, The yellow one looked a lot like this one except for the leopard print upholstery.